When GBP becomes overbought against USD and our Intermarket, we SHORT GBP.USD. 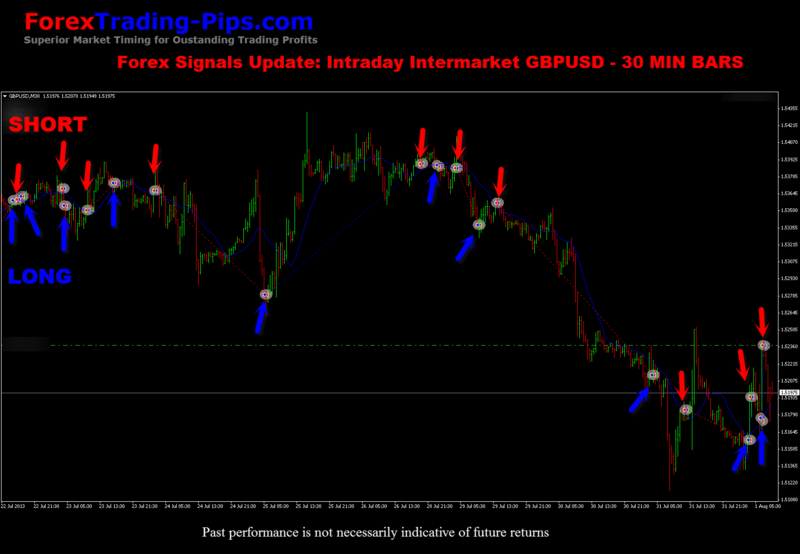 When GBP becomes oversold against USD and our Intermarket, we BUY to COVER and go LONG GBP.USD. We are always in the market, either long or short. This characteristic is unique to intermarket systems and produces returns that are uncorrelated to traditional trend following and mean reversion systems. Learn more about how you can profit using Intermarket Analysis in your trading today with our FREE Intermarket Auto Trade Copier!